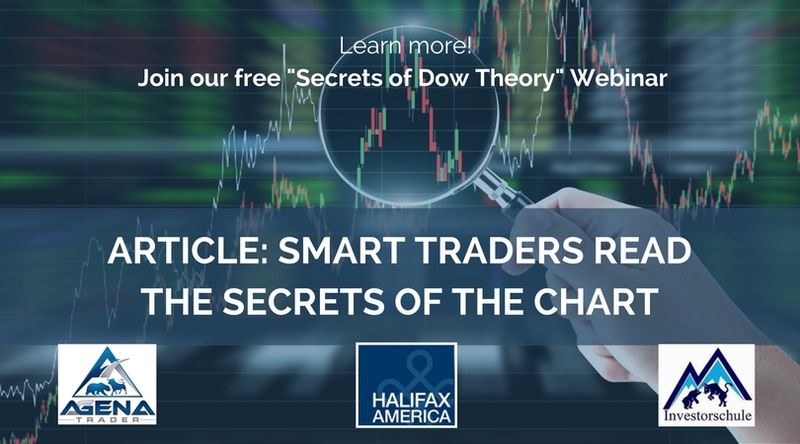 The legendary Charles Dow and successful traders like Jesse Livermore knew how to read the markets by observing the behavior of its participants. You too can learn how they did it. Reading the “secret” of the charts isn’t much of a secret at all. 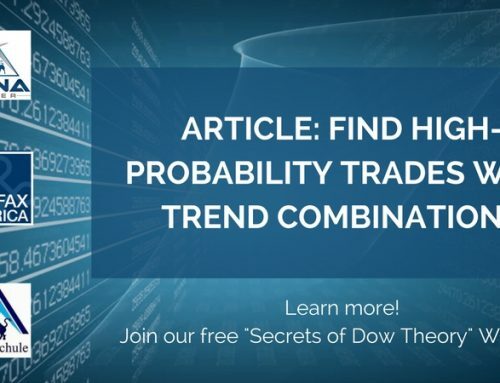 In fact, Charles Dow wrote it all down in his Dow Theory on stock price movements, it’s main point being that markets run in trends and that it’s a good idea to follow those trends. Though this may sound simple, it isn’t that easy to do as it brings up some very tricky questions. What would be the optimal point in a market movement to open a position; and why? And considering other traders’ reactions, which points in a trending market hold the most favorable profit potential? 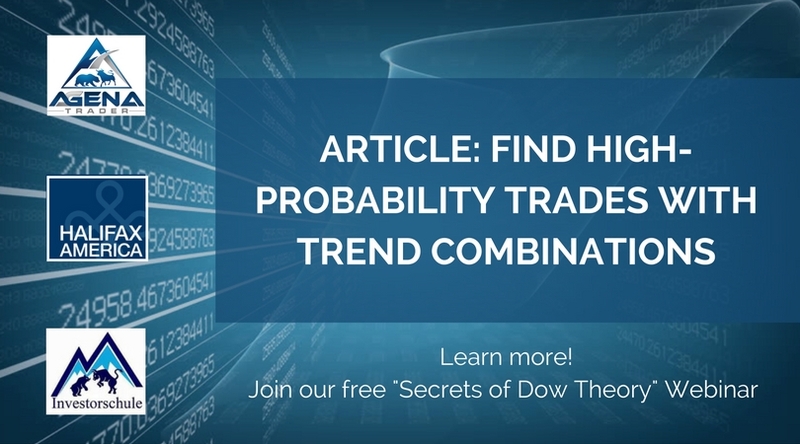 Before we address these questions, let’s step back and cover Dow’s basic theory of trends. Take a look at image 1. An uptrend exists if you can see a sequence of higher highs (P2) and higher lows (P3). Respectively, downtrend exists if there is a sequence of lower lows (P2) and lower highs (P3). Movements go in the direction of the trend. Corrections go in the opposite direction of the trend. And the end of a trend occurs when its most recent P3 gets violated by a counter movement. Image 1: In the top section, an illustration of an uptrend, the red circle identifies the continuance of an existing trend. The continuing progressions and regressions with increasing highs (2) and lows (3) keep the trend running. The section below illustrates the same situation, but for a downtrend with decreasing lows (2) and highs (3). There are plenty of software applications that accurately identify strong trending movements and their corrections. But they often fail when it comes to skillful trade execution. Empirical studies have shown that the overall hit rate for a large majority of trend following software hovers around 50%, its poor trade management capabilities unable to produce sustainable long-term profits. Given these stats, what can you do to noticeably improve your personal hit rate when it comes to trading trends? Cranking up the frequency of trades might not be a good solution. After all you want quality trades, not just a larger quantity of trades. What if you were able to accurately identify on the chart the high-probability areas where other traders might want to buy your position at an even higher price? What if you can identify whether there are even other traders in the market willing to take your trades? To trade successfully, you always have to keep in mind other market participants: who is willing to buy your current long position, and who is willing to sell your current short position. Fortunately, by viewing a chart in the way Charles Dow did, you can read beyond the prices to get to the actual “intentions” of other traders in the market. 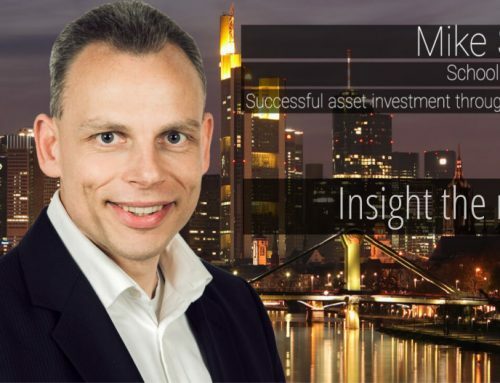 To trade trends successfully, you must first understand how a trend functions–namely, what generates it and how market participants play a role in shaping it. For instance, an uptrend for a stock begins when demand is greater than the current supply. Buyers are willing to pay higher prices to own it. This causes a stock’s price to rise as continuous bidding takes place at higher price levels. Image 2 illustrates this process, in which the formation of an uptrend takes place in three distinct price runs. 3. A period of increasing prices. In the top image where it says UT (for Uptrend), notice the price movements designated R for regression and P for progression. When the progression (P) exceeds the regression (R) segment you have confirmation of a trend. You can then open a new long position. In the future, you can expect a rotation of these two–R and P–components. The letters UT in the upper part of the graphic illustrate the point of the trend formation. The initial movements 1, 2 and 3 in the grey boxes stand for the prior uptrend forming phases. The boxes R and P represent the trend components regression and progression. Below you see the same situation but for a downtrend (DT). You will notice that within R and P are sub-trends (or what some call micro-trends). These sub-trends are easier to see in smaller timeframes. 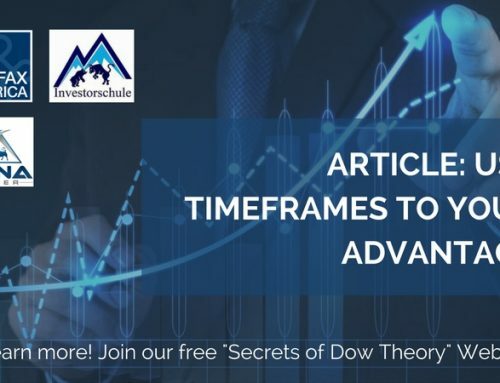 However, if you are interested in trading a breakout of the correction (the regression period) or simply trading the major progression, you will want to watch out for the moment where the major trend continues breaks out of its corrective/regressive period. 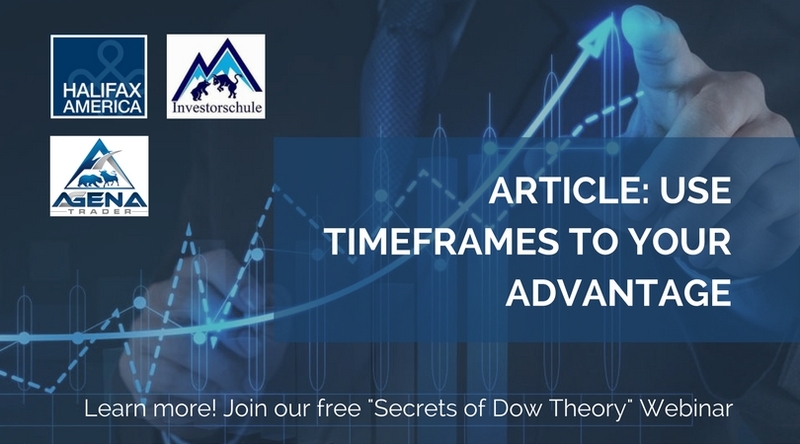 Once you can clearly identify the trend formation, it is now time to consider the intentions of the other market participants who play a role in shaping the outcome of this trend. Trend-trader. They trade a trend from the beginning until the end. They open a (first) position with the initial formation of the trend. Further on you will likely find their orders for additional positions, pyramiding at every P2. The active stop can be anticipated at the current P3. Progression-trader. They trade into the direction of the primary trend and open a position when the correction has finished. Their goal is it to trade the progression of the primary trend. Regression-trader. They trade the counter direction of the primary trend and open a position if the progression trend got broken by a countertrend. All three types of traders trade according to the same trend formation principles. The difference between them happens to be a) their point of entry,and in the case of regression traders, b) trend direction. To find a profitable trade you will need an advantage in the market. And knowing who will buy and sell your position and at what points they will buy and sell can be a tremendous advantage. All of the traders involved leave traces with their orders on a chart. Understanding other traders’ intention can help you plan your trade accordingly. The traces left by other traders will help you figure out the critical points in a chart, knowledge which can help unveil their plans to your advantage. 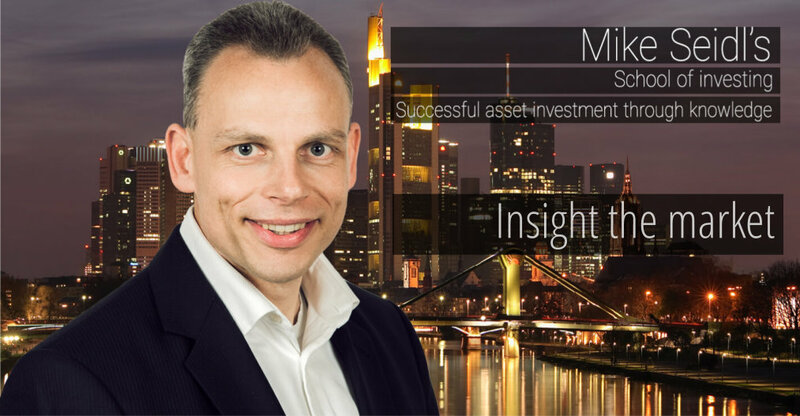 All you have to do is put the informational pieces together and identify the highest-probability opportunities.